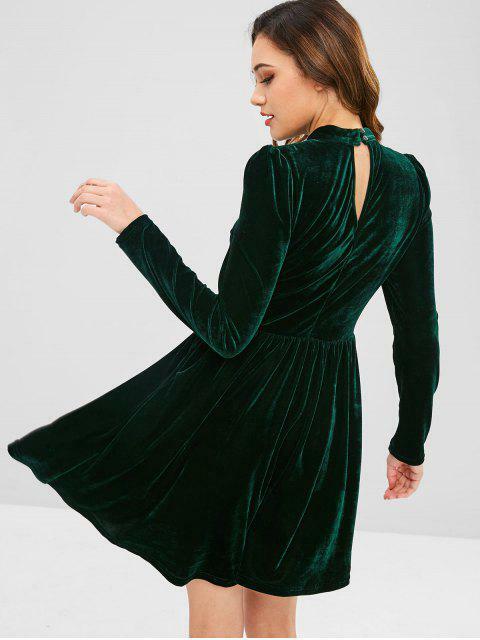 [31% OFF] 2019 ZAFUL Velvet A Line Keyhole Dress In DARK GREEN | ZAFUL ..
Looks exaclty like on the pictures. Really good material, but the near the neckline it's not sewed properly. 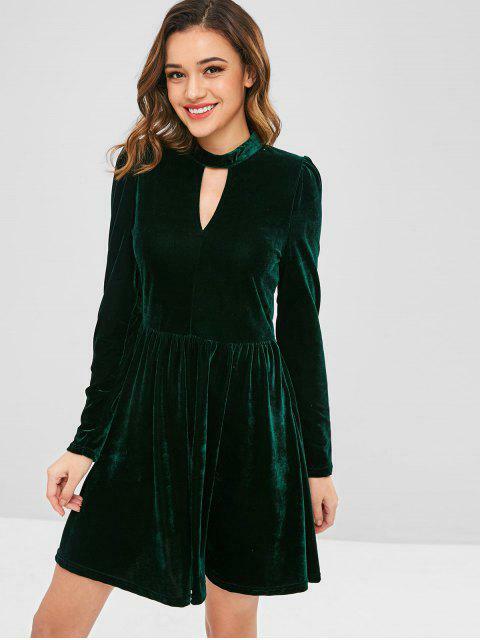 Gorgeous velvet fabric shines with your every step in this mini flared dress that's ready-party to shape the curves in no time! It features a pretty keyhole detail at the front and the back with two buttons for closure, a classic collar, and a high-waisted silhouette with pleats draping beautifully.